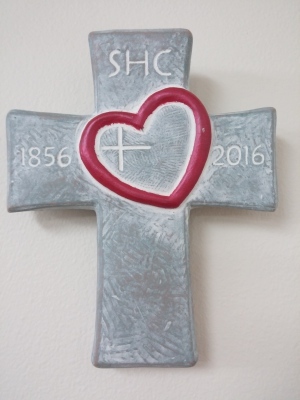 Celebrate the 160th anniversary of Sacred Heart Parish (1856-2016) with a commemorative Isabel Bloom Cross! Only 300 have been produced for this special occasion and all are numbered and signed. These crosses make excellent gifts and collector items. Maybe be hung on the wall or displayed on a tabletop (easel not included). 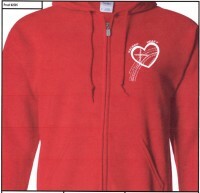 Show your Sacred Heart pride with a T-shirt or sweatshirt. 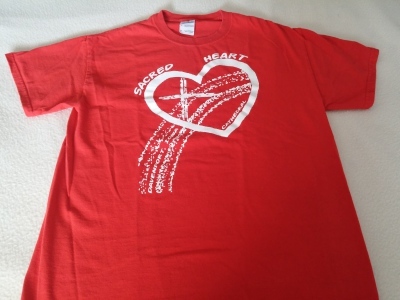 Shirts are red with the white Sacred Heart logo on the front. 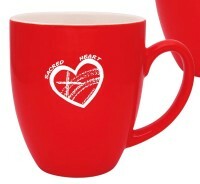 Get your own 16 oz ceramic coffee mug emblazoned with our parish logo. Only $10.